The GST Council today approved a change in tax rates of 29 goods and 53 categories of services, Finance Minister Arun Jaitley said. Mr Jaitley, who heads the powerful GST Council, said the new rates will be effective from January 25. The Council in its 25th meeting today also considered simplification of the return filing process and Infosys chairman Nandan Nilekani will meet members to work on this, Mr Jaitley said. Mr Nilekani was present at today’s meeting and made a presentation. Infosys is the IT service provider for GST technological network. 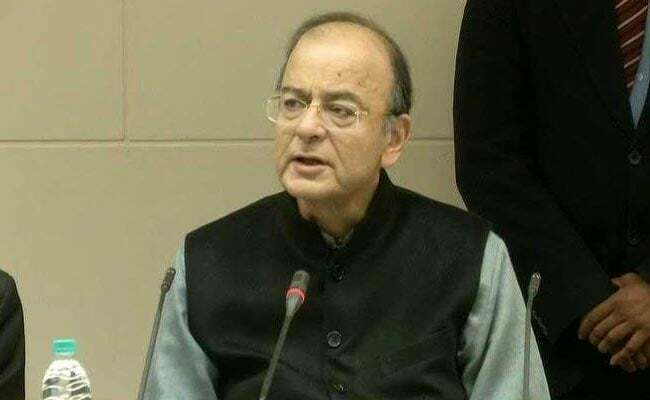 The Union finance minister said that in the next meeting, the Council may consider bringing petroleum and other exempt items within purview of GST. GST on LPG supplied for supply to household domestic consumers by private LPG distributors will come down to 5 per cent from 18 per cent. The GST rate on bio-fuel powered buses has been cut to 18 per cent, from 28 per cent. The rate on diamonds and precious stones has been cut from 3 per cent to 0.25 per cent. Sugar boiled confectionary and drinking water packed in 20 litre bottles will attract GST of 12 per cent, instead of 18 per cent earlier. Drip irrigation system including laterals, sprinklers will also attract lower GST of 12 per cent, instead of 18 per cent earlier. Mr Jaitley said the GST provision requiring transporters to carry an electronic waybill or e-way bill, when moving goods of over Rs. 50,000 in value between states, will be implemented from February 1. This will help in checking tax evasion, he added. As many as 15 states have decided to implement the provision for intra-state movements as well, Mr Jaitley said. Once the e-way bill system is implemented, tax avoidance will become extremely difficult as the government will have details of all goods above the value of Rs. 50,000 moved and can spot the mismatch if either the supplier or the purchaser does not file tax returns, say experts. GST collections with regard to the composition scheme is a matter of concern, Mr Jaitley said. There seem to be cases of under declaration under the composition scheme, he said. Composition scheme allows small businesses to pay taxes at a concessional rate and makes compliance easy under the Goods and Services Tax (GST). The Council had in its previous meeting in November reduced the tax rate of over 200 items.